Nathan Cornelius is a native of eastern Iowa. 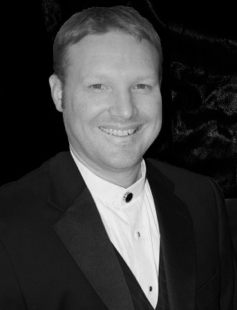 Mr. Cornelius holds an Associate of Arts degree from Waldorf College in Iowa, a Bachelor of Music Education from Augsburg College Minnesota, and a Master of Music in Choral Conducting from Missouri State University in Springfield, Mo. Mr. Cornelius is in his 19th year of teaching and his twelfth year at Kickapoo High School. Prior to Kickapoo Mr. Cornelius spent six years as Vocal Director at Reed Middle School in Springfield and one year in Minnesota. Mr. Cornelius is a member of NAfME, ACDA, MMEA, MCDA, and NEA and has served as Vocal Vice President of South Central District of the MMEA for 4 years. Mr. Cornelius has been awarded Springfield Teacher of the Month April 2006 and MCDA Outstanding South Central Choral Director in 2013. Mr. Cornelius has held the office of Vocal Vice President office for South Central Missouri Music Educators for four years and is the Springfield Public Schools Curriculum Development Coordinator for Secondary Vocal Music. While at Kickapoo his choirs have received consistent I ratings at state and regional competitions including the Sweepstakes award at the Music in the Parks Choral Festival in 2008 in Kansas City; a I+ rating and first place finish for the Kickapoo Chamber Choir at the Worlds of Fun Choral Festival in 2009; straight I ratings for all choirs and best overall choir at the 2015 Music in the Parks Choral festival in Kansas City. The Kickapoo Chamber Choir has received top honors at festivals in St. Louis Missouri in 2009, Kansas City Missouri 2009, Breckenridge Colorado in 2010, San Antonio Texas in 2011, Chicago Illinois in 2012, Winter Park Colorado in 2013, Atlanta Georgia in 2014, Orlando Florida in 2015, and Dallas Texas in 2016, Chicago Illinois 2017, and Winter Park Colorado 2018. The Chamber Choir keeps a very busy performance schedule throughout the school year. The Bel Canto Female Chorus received the best overall choir at Music in the Parks in Kansas City Missouri in 2015 and the Chamber Choir received the same award in St. Louis Missouri in 2016. The Bel Canto Female chorus was chosen to perform at the Missouri Music Educators convention January 29th 2016 at the Tan Tar A resort in Osage Beach Missouri. In July of 2017 the Choir sang in the Cathedral of St. Francis of Assisi in Assisi Italy and St. Peter's Basilica in the Vatican, Rome, by special invitation to the Cathedrals of Italy Festival. In 2019 his Kickapoo Choirs will perform at the Limerick Sings festival in Limerick Ireland and at Christ Church Cathedral in Dublin Ireland. ​ Nathan lives in Springfield with his wife Kristin and three sons; Elijah, Jayden, and Ryan. Masters degree in education from Evangel University. Krista Smith graduated from Evangel University in 1997 with a Vocal and Instrumental Music Education Degree. From 1997-2007 she was the Choral Director at Logan-Rogersville High School where she taught elementary music, middle school vocal music, high school vocal music, and directed full scale musical theatre productions. Musicals directed were “The Wizard of Oz,” “The Music Man,” “Annie,” “Cinderella,” “The Sound of Music,” “Bye, Bye Birdie,” “Hello Dolly,” “Fiddler on the Roof,” and “Beauty & the Beast.” In the summer of 2006 she opened The Music Studio, LLC in Rogersville, Missouri where she gives private instruction in voice, piano, and instruments. She is also the Choir Director for the Sing His Praise Choirs (Springfield, MO).